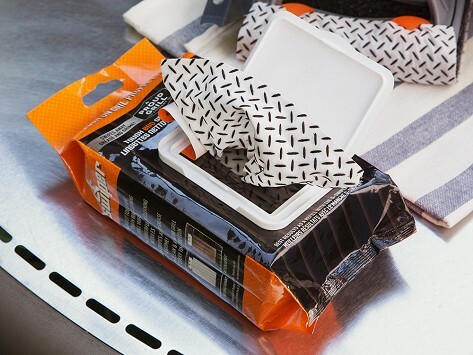 Get a clean cooking surface every time with this 40-pack of grill wipes made for the Q-Swiper Grill Cleaning Wipe System. Each wipe is made with food-contact safe cleaning agents and has a raised, grime-gripping, grease-absorbing surface. Dimensions: 7" x 4" x 2.25"
Better value pack of essential wipes. I have used these on my gas bbq several times and they work great. Far better than simple brushing. I will be getting more of these.